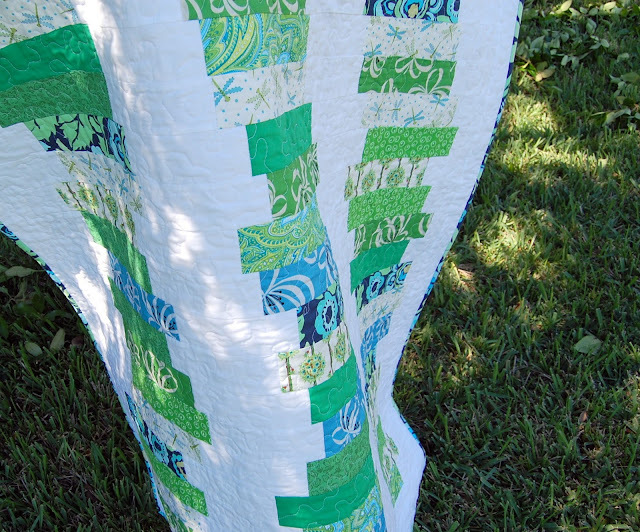 My new quilt, Bricks and Trees, is featured today on Modern Day Quilts. What an honor and treat this is. Thank you Heather. Be sure to check out the other featured quilts, incredible talent and inspiration going on there! I see many wonderful modern quilts in my near future. The kids and I tried to take quilt pictures yesterday outdoors but the wind had no intention of cooperating and the quilts were blowing horizontal. We're going to head out and try again today.